Works by Schubert, Dvorak and Brahms played by this wonderful, internationally acclaimed group who were such a hit with our audience a couple of years ago. Michael Collins (clarinet), fresh from his tour of Asia and Australia’s great concert halls, accompanied by pianist Nigel Clayton. Michael and Nigel will play works by Poulenc, Saint-Saens, Finzi, Arvo Part and others in what promises to be a fabulous musical tour de force. There is much more on at the Festival, which culminates in our concert on 1 November with the Soloists of the RPO. See the full schedule at the Festival's own website here. Tchaikovsky's Opus 70 sextet is one of his latest works, and is deeply expressive. It originated from a theme jotted down in Florence, but the disinctly Russian melodies of its latter movements make its Italian genesis something of a distant memory. 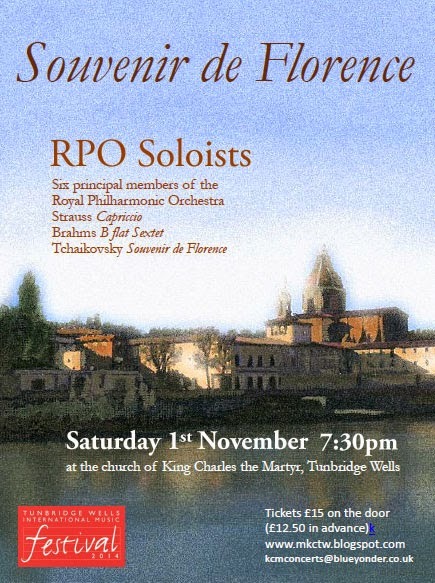 This concert is presented in partnership with the Tunbridge Wells International Music Festival. This concert will be attended by the Mayor, Cllr Julian Stanyer and Mayoress, Mrs Anne Stanyer. Two years after his coronation in 1661, King Charles II paid a visit to the restorative spa of Tunbridge Wells, staying locally with his court. It is known and documented that he brought with him his band of musicians who will have provided both private and public entertainment. The violin - pictured - which is known to be the last surviving instrument that was played in his violin band makes a guest appearance in tonight’s concert. Before the civil war, musicians had been in regular employment through the court of the King. When the revolution came, most of the King’s musicians went into private teaching, or employment in noble men’s houses, although some were conscripted and died in battle. At the restoration of the Monarchy, King Charles II re-gathered his musicians, and music once again thrived. The King’s musicians then consisted of those who had played in the court of Charles I, and also new musicians who were emerging at that time. This concert features composers that were important in the King’s court both before the time of the Restoration, and also resulting from the Restoration. It looks at the kind of music that is likely to have been played for the king during his visit to Tunbridge Wells, and also looks forward to the music making that developed out of this period of change. Music at King Charles is friends with other music societies in Kent also working to promote the highest standard of classical music for local audiences. 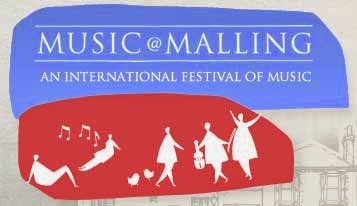 Take a look at our friends in Music@Malling http://musicatmalling.com/current-festival.php, which opens this week. Looks like a great programme! ConChordae 94, King Charles the Martyr Church, 3.30 pm, September 21. 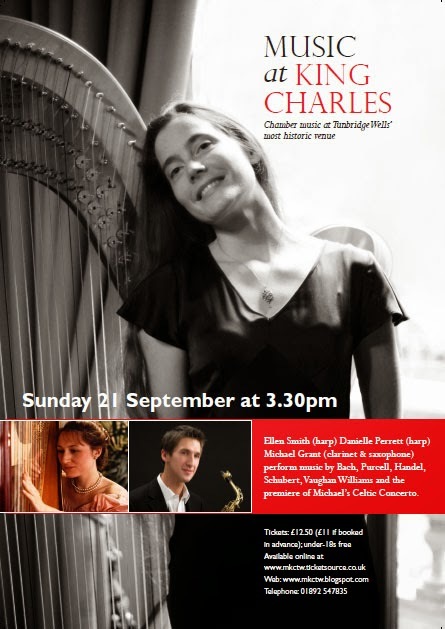 Updated 18th September: Tunbridge Wells harpist Ellen Smith will be joined by Michael Grant (clarinet and saxophone), and pianist Paul Clark for an entertaining afternoon's concert. Their varied programme has a wide appeal, and provides a rare opportunity to hear the most ethereal of instruments, with music by Purcell and Handel, and Schubert’s evocative Shepherd on the Rock. With great regret, harpist Danielle Perrett has had to withdraw from our concert owing to completely unforeseen circumstances that make it impossible for her to be with us, and despite great efforts to overcome an impossible situation. We send her our very warmest wishes. 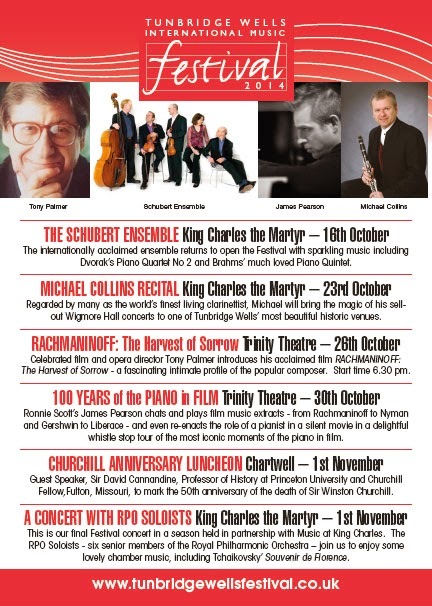 Music at King Charles is enormously grateful to Ellen and Michael for adapting their programme (largely unchanged), and to Paul for stepping in, to present what will be a wonderful concert despite this setback.